This rice pudding will amaze your guests with its appearance and distinct flavor. The dish can be prepared with black or white rice, but in Southeast Asia, white rice is used most frequently. Total preparation time for the dish requires a little more than two hours, and the pudding can be served warm, almost immediately. However, if you prefer to serve it cool, you’ll need to add an additional 2 hours of refrigeration time to your preparation. Sweet Thai pudding is the perfect finale to any meal. Soak the rice in water at least one hour before you begin to prepare the recipe. This will help soften the rice kernels. Drain the rice and combine with the brown sugar and coconut flakes. Save some of the coconut to garnish the pudding before serving. Place the rice, sugar, and coconut in a pan with half of the coconut milk and the cup of water. Bring to a boil, then reduce the heat to simmer, stirring occasionally for almost 30 minutes, or until the rice absorbs most of the liquid. Spoon the rice into a large ovenproof dish. Beat the eggs with the rest of the coconut milk and the white sugar into a bowl. Drizzle the mixture little by little over the cooked rice. Place the dish inside a roasting pan with water mid-way to the top of the ovenproof dish. Cover the dish with aluminum foil, and place it in the oven for 40 minutes or until the custard has set. Cool to room temperature or chill in the refrigerator. Sprinkle with coconut and mint just before serving. This sweet Thai pudding will create an exotic finale to any dinner. Originally published at Travel Curious Often. 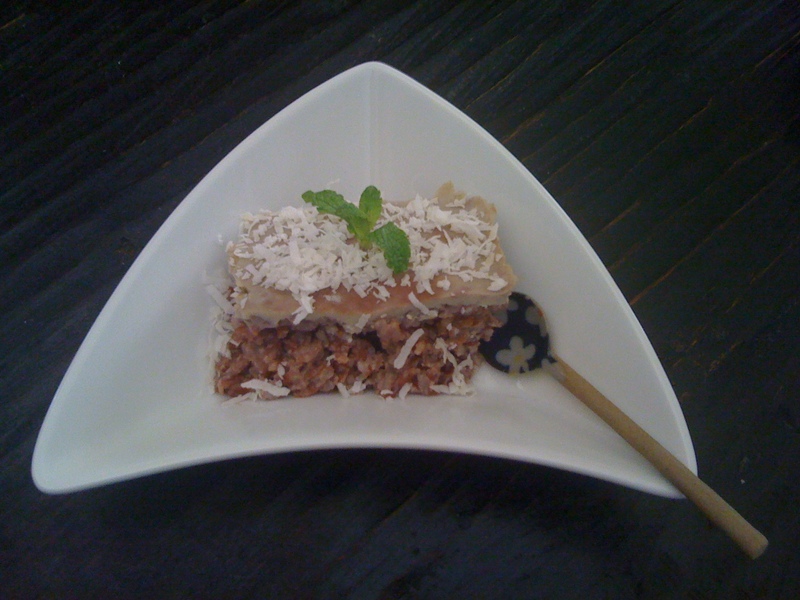 This entry was posted in Recipes and tagged Asia, Baked, Desserts, Thai by veronicacervera. Bookmark the permalink.